Prior to its release in 1991, all had not been well with the band and their record company. 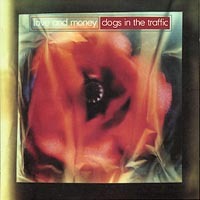 Shifts in musical policy and personnel changes meant it was a tough time for James Grant and Love & Money, but eventually "Dogs In The Traffic" saw the light of day and the haunting "Winter" was their final chart entry, and a fitting epitaph to an excellent band. In 2011 Love And Money returned for a series of gigs and are planning a new album release in 2012.